With the start of the New Year I restarted using MyFitnessPal to not only count calories but to really focus on my macros. This year I'm focusing on more weight training and lifting heavier which means a leaner me...which also means a higher lean protein diet, more veggies, fruit, and natural starches. I'm not exactly cutting out my pleasures of bread and pasta, just trying to eat less of it. Anyway, I began to notice that I wasn't getting enough protein in my diet. I'm not a huge breakfast person or care much for eggs so going without protein in the mornings was lowering my intake. Quick fix. Protein Smoothies. I've been playing with different types of smoothies but I found one that has my all time favorite thing COFFEE. 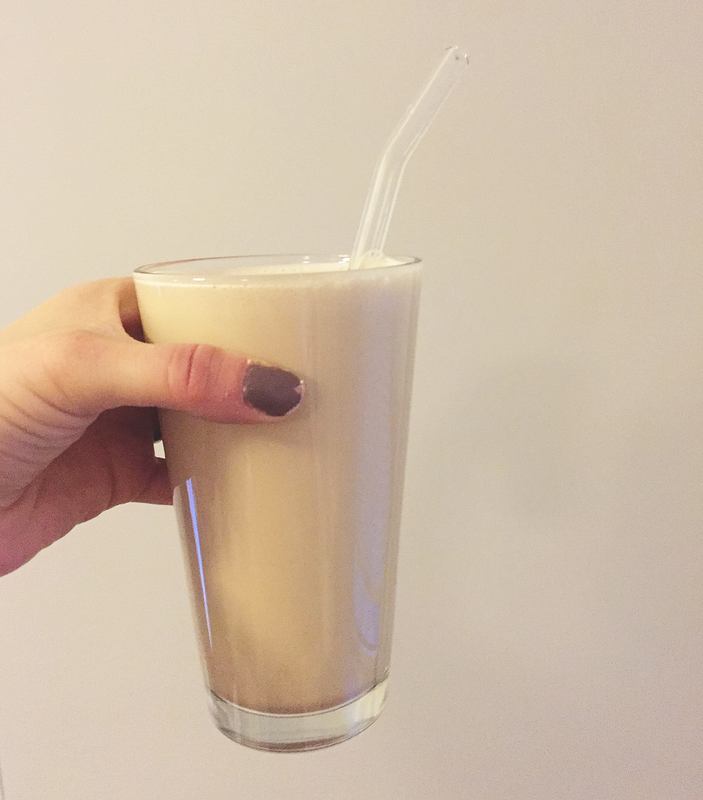 This quick and easy Coffee Protein Smoothie is not be used a meal replacement but something to go along with something like oatmeal and other lighter breakfasts. Put all ingredients in a blender and blend until smooth. Pour into a glass or your blender bottle to go. Enjoy! This smoothie to me taste like a Vanilla Frapp! 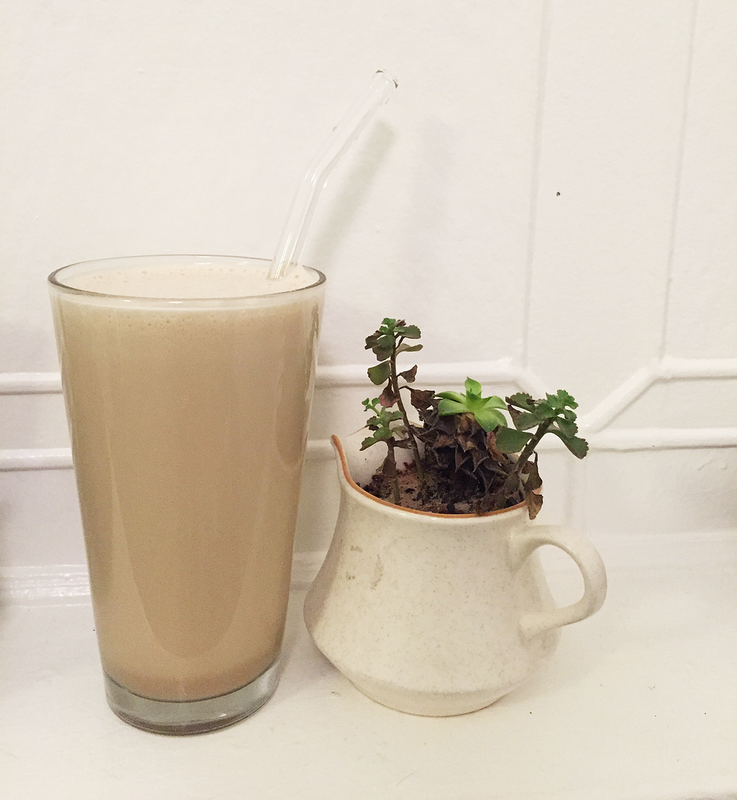 It's the perfect way for me to get my caffeine fix and protein in in the mornings. I drink this before leaving for work and once I get there I have my breakfast. It's especially perfect for those mornings where I'm starving, so it holds me over until I get to work. What are some of your favorite smoothies? Thank you for your comments!! I look forward to reading them! Please be sure to view the Disclosure + Policy page before inquiring to work with Fashionista NY Girl. Fashionista New York Girl © . Design by FCD.